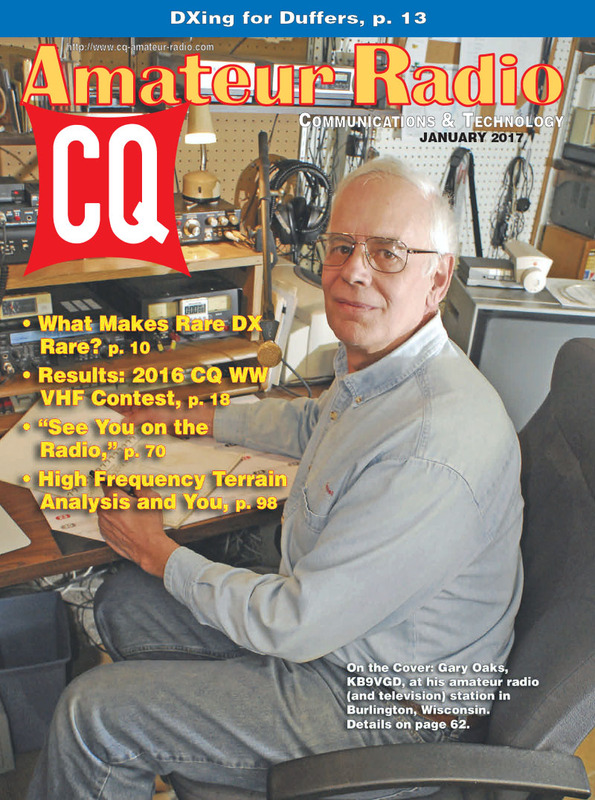 The worlds of DXing, contesting, vintage radio, shortwave listening and even a ham radio short story all come together in the January issue of CQ as we begin the 73rd year of our own journey through the aether with you, our wonderful readers. We start out with the question of what makes DX rare. Beyond the typical answer of, "If it isn't on the air very much and I haven't worked it, then it's rare," ham historian Ed Richmond, W4YO, takes a more analytical look at the factors affecting DX rarity. 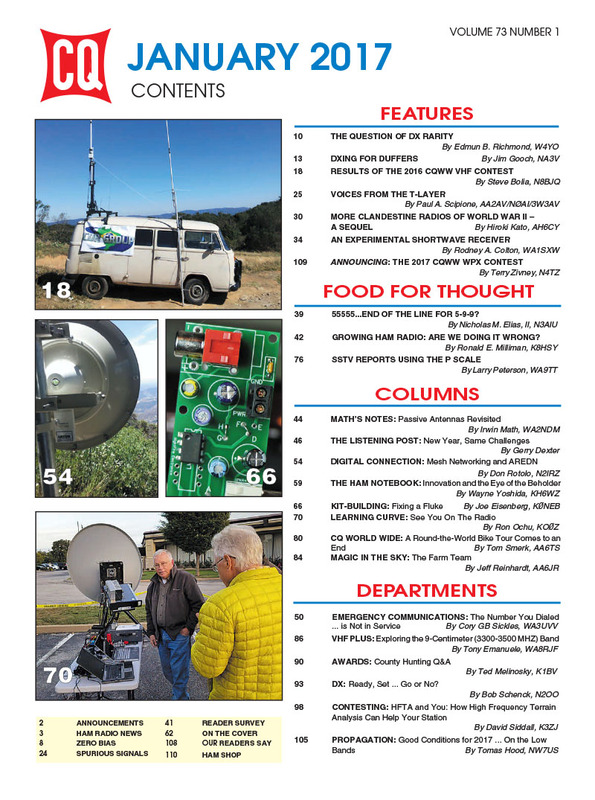 Next, for those of you just sticking your toes in the DXing waters, James Gooch, NA3V, offers a guide to working your first 100 entities in "DXing for Duffers," the story of his own quest to earn the CQ DX Award in less than a year. 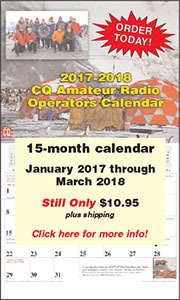 We've also got the results of the 2016 CQ World Wide VHF Contest, and a rare (for us) bit of radio-focused historical fiction in "Voices From the T-Layer," followed by a real-life look at even more clandestine radios from World War II. 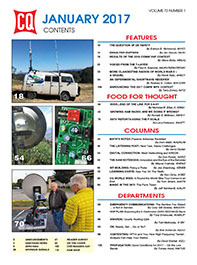 On the technical side of things, we explore building "An Experimental Shortwave Receiver," and Contesting Editor K3ZJ explains how High Frequency Terrain Analysis (HFTA) software can help improve your station's performance, even if you aren't in the process of putting up a new tower on a big parcel of land.
. Happy New Year from all of us at CQ! 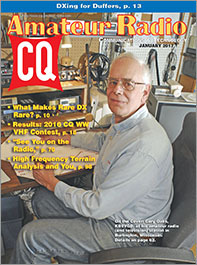 Zero Bias – "Looking Back Into the Future"
On the Cover: Gary Oaks, KB9VGD, at his amateur radio (and television) station in Burlington, Wisconsin.